Dedication. Another word that has lost its meaning in today’s world. The quality or state of being dedicated to a person, group, cause, etc. Continuing my personal study through the book of 1 Samuel, I come to the point in the narrative where Hannah has to follow through on her commitment to the Lord regarding her only son, Samuel. She cried out to God to give her a child and promised if He would bless her in this way, that she would dedicate the child into His service. Can you imagine what that must have been like for her? The very thing, her son no less, that she had cried out to God for, she must now give up. That’s commitment! That’s dedication! It reminds me of the sacrifice that God made through His Son, Jesus. Promises were made. Hannah had committed to God that her son would be dedicated to serve the Lord. God committed to providing a Savior in Isaiah 53 and in other places in the Old Testament. I’m so grateful that we serve a God who keeps His Word! He’s dedicated! He’s committed! So it begs the question of me today…am I committed? Am I dedicated? The easy answer is yes! It’s easy to look at only the things in my life that point to service and devotion, but then there are other things to consider. Areas of life where I know I’m reluctant to give up control. Things that I’m not willing to part with so easily. I want to be more like Hannah and ultimately, more like Christ. 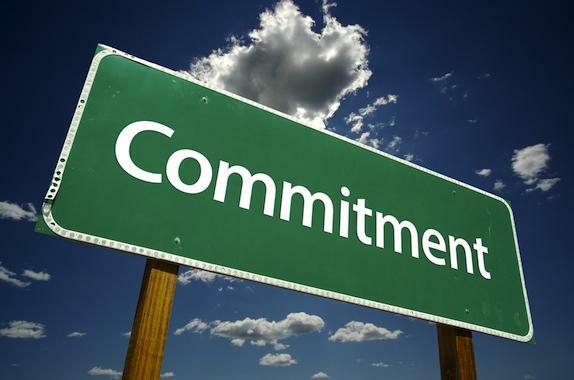 I want to follow through with the commitments that I make to the Lord and to others. I want to have the kind of devotion and dedication it takes to even give up the things that mean the most to me if God leads me. The Christian life is quite a challenging journey. What about you? Does your life reflect Hannah’s commitment and dedication?